Another Smartphone To Join Galaxy Flagship : 1 GHz Galaxy Ace PLUS Announced. 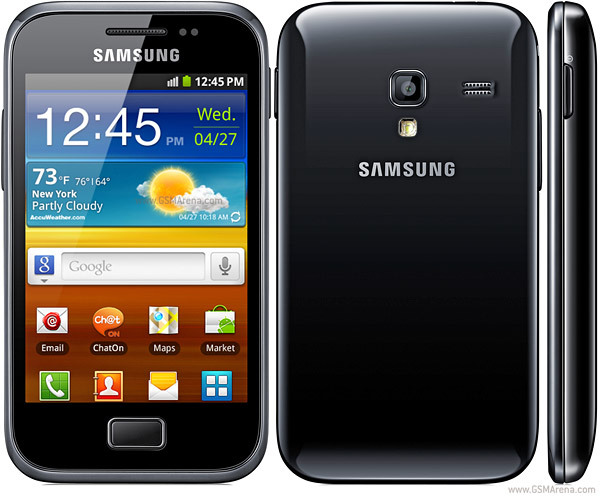 Samsung, a major electronics manufacturer company, officially announced the upcoming and enhanced version of Galaxy Ace smartphone as Galaxy Ace Plus. The smartphone will soon be joining Android-powered Galaxy flagship for delivering more power,performance and style than its former version. Samsung is striving hard to get on the top of the smartphone manufacturers list and so its not giving any loose ends on its part. Frequent smartphone model updates are released by Samsung for various categories so as to have a tight grip on smartphone consumers and bringing the better version of Galaxy Ace with increased processing power, RAM and internal space will definitely boost its sale. Samsung has powered Galaxy Ace Plus with a 1 GHz single core processor, 512 MB RAM and 3 GB of internal memory whereas the former Galaxy Ace had 800 MHz ARM 11 processor, 278 MB RAM and 158 MB internal memory. The another difference among the former and later version of Galaxy Ace is the screen size though the difference is merely by 0.15″ i.e the enhanced Galaxy Ace plus features 3.65″ display whereas the simple Ace had 3.5″ touchscreen display. Though the screen size is increased by a narrow difference but the screen resolution is same as that of older Galaxy ACE which is a real drawback in its part. The camera and other features are almost the same. Samsung Galaxy Ace Plus measures 114.5 x 62.5 x 11.2 mm and weighs merely 115 gms. The enhanced smartphone features 3.65″ TFT Capacitive touchscreen with Multi-touch and 320×480 pixels of resolution. Powered with 1 GHz processor and 512 MB of RAM, the smartphone is ready to deliver amazing performance in mid-range price segment of smartphones. The internal memory for installing bigger 3D games will also not be an issue because of its 3GB of internal space. It features 5MP Camera with Auto-Focus, LED flash, Geo-Tagging,face detection and smile detection. Lets see whether this enhanced version of Galaxy Ace PLUS can add up to Samsung’s sales graph. Watch Out Apple Inc. (AAPL), Samsung’s Secret iPhone 6 Competitor Coming Next Month ! Confirmed: Samsung Galaxy S IV Launch Scheduled For March 14; First Video Released ! Samsung Galaxy S4 Mini Rumored To Hold Price Tag Of $225 – $275, Coming In May !